If you’ve ever experienced a pet wandering off and getting lost, you know the desperation you feel. Just to give you an example – A stranger entered my house while I was out and left the door open, an invitation to my German Shepherd to go out for a walk. When I arrived home after a long day at work and discovered her missing, I wandered about for hours, calling her name and asking people if they had seen her. Exhaustion overtook me and I went home to see what more could be done. When I reached my front door, I found my doggie sitting there, looking at me as if to say “I’ve been here, where have you been?” But not everyone is so fortunate. This experience taught me a valuable lesson about tagging pets. Today, many people opt to microchip their dogs and cats. Actually we believe all pets benefit from microchipping. But it shouldn’t stop there. Microchips don’t replace ID tags. Microchips are great if your pet is lost and then found by an animal control officer or a person willing to take your pet to a shelter or a vet where the chip can be read. The chip also needs to be working properly. Technology is not perfect. You can have your vet check if the chip is functioning at the same time your pet goes in for his/her annual or bi-annual checkup. 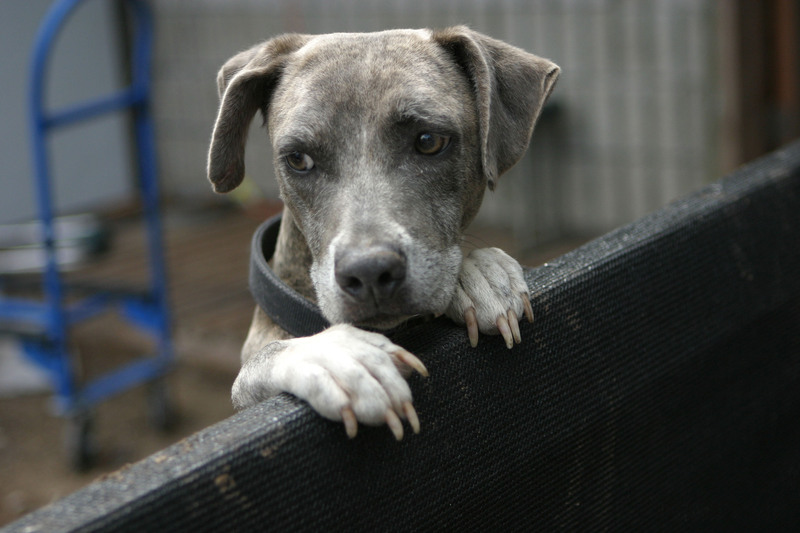 Too many pets have been impounded by animal shelters without proper identification. Pets wearing license tags are usually held for 2-3 weeks while the others are killed after 3 days. Some pets are not even held that long. What information should be included on the Identification Tag? 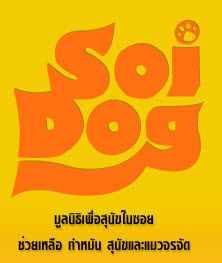 Most important are the pet’s name and your telephone number. If you don’t want to give out your home phone, use your cell phone. Also add the telephone number of your veterinarian or an emergency number where someone can be reached at most times. Some people opt to add their name and/or address, but this personal information should not be made public for safety’s sake. If your pet is disabled, blind or deaf or has any medical problems, this information should be included on the tag so that if your pet is found, proper care may be given. You might want to add that your pet is microchipped. No matter which one you decide on, please make sure your pet is always wearing a collar with an up-to-date ID tag. Give your pet a fighting chance to return home. There are unscrupulous people whose intentions are evil. Using your dog’s name, they may entice and trap him/her for purposes other than saving the dog. On the other hand, if your dog has no problem responding to strangers, it can be that some caring person wishes to help. 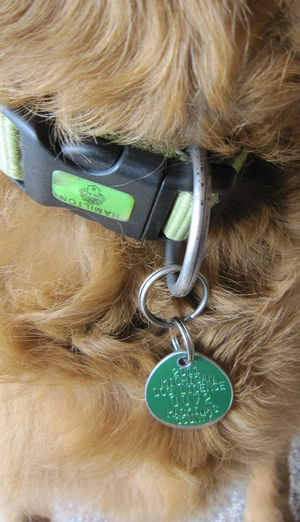 A license number on the tag may be enough to identify the dog at a vet’s office or a shelter. The decision to put your dog’s name on the tag is up to you as you know the area you live in best.